Former NFL players between the ages of six and 64 are up to 35 times more likely than the general population to develop Alzheimer’s disease and dementia. In addition to developing these dangerous diseases more frequently than others, NFL players are also more likely to receive diagnoses at an earlier age. While approximately 28 percent of all former players are expected to meet the eligibility requirements to receive this compensation, only about 60 percent of that group are actually likely to seek compensation, given their involvement in other class-action litigation, ABC News reported. 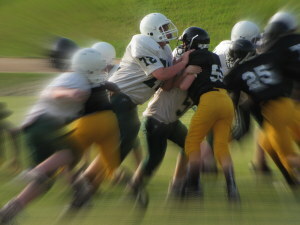 Do you have a loved one who sustained a sport-related concussion or other traumatic brain injury? It is important to discuss your case with an experienced San Diego brain injury lawyer. Contact the Walton Law Firm today to learn more about how we can assist you.